Goes the famous song “Ebony and Ivory” by Paul McCartney and Stevie Wonder. The black and white keys on a piano keyboard, which tackle on a deeper level the issue of racial harmony. Moog dedicates its latest collection to all those in the world, who face issues of racial, cultural, or religious diversity. 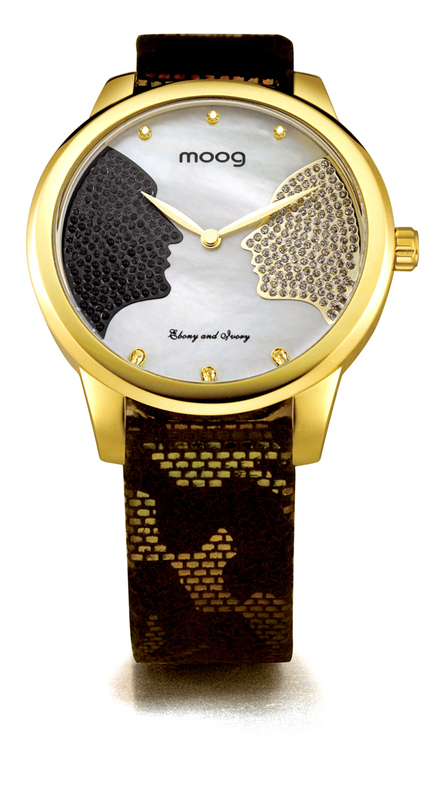 The Ebony and Ivory watch of Moog is outstanding in its design, displaying two characters, looking eye to eye. Despite their differences they provide an atmosphere of love and confidence.